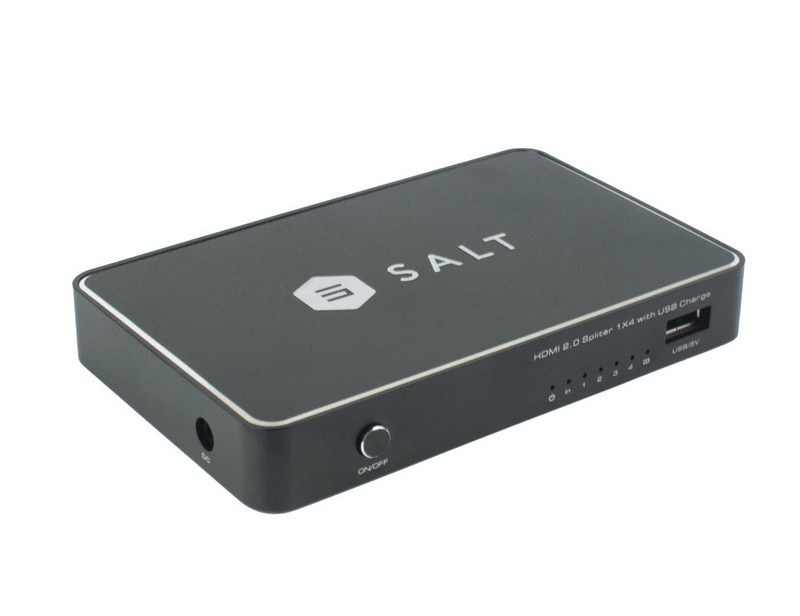 The Salt 1x4 HDMI Splitter supports HDMI 2.0 specifications (4K@60Hz) and is backwards compliant with HDMI 1.4 signals. It is HDCP 2.2 and 1.4 compliant. It also has one USB 3.0 charging port to to help provide power for additional devices near the splitter. 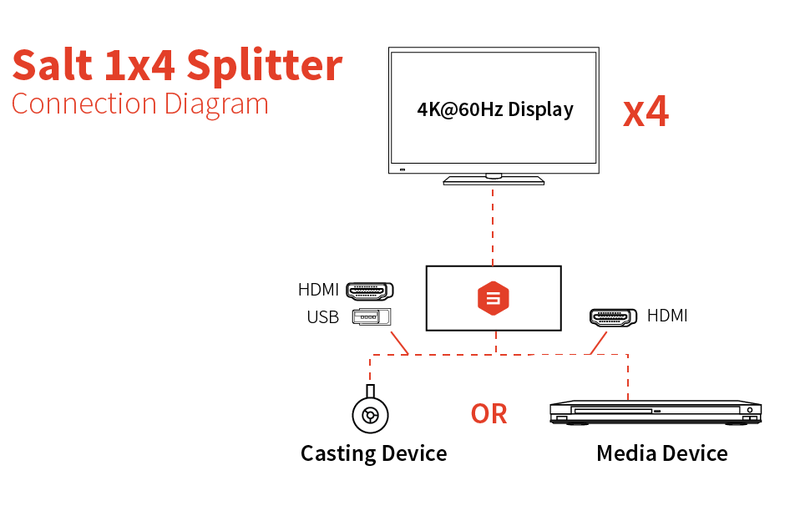 Split an HDMI source into 4 displays up to 4k@60Hz. 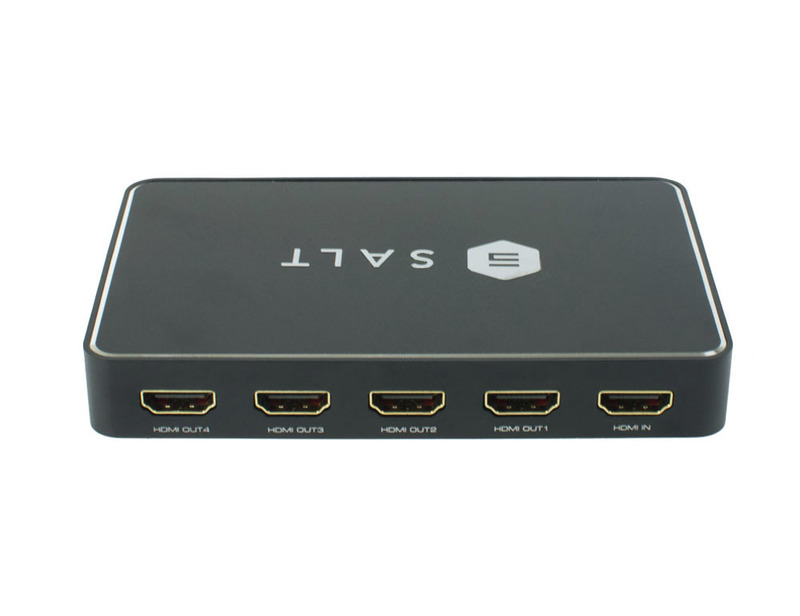 Note: Salt HDMI Splitters are all HDCP compliant which means that this splitter does not strip or bypass HDCP. This splitter supports all versions of HDCP including HDCP 2.2.